Free Fishing Reports > Northeast > New York > North Shore > Matt, Hector and Jayden get in on the Bass !!! Today Capt. 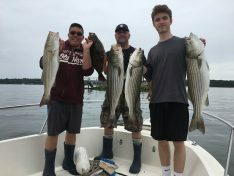 Skip was joined with repeat offenders Hector and Jayden and newly Matt for a bit of fun on the water in search of the Striper bite !!! Matt who never caught a keeper Bass was in for a nice day, but quite a few hours went by with no luck at all. Then after working and working, the crew finally got into the fish after there was no bite at all!!! 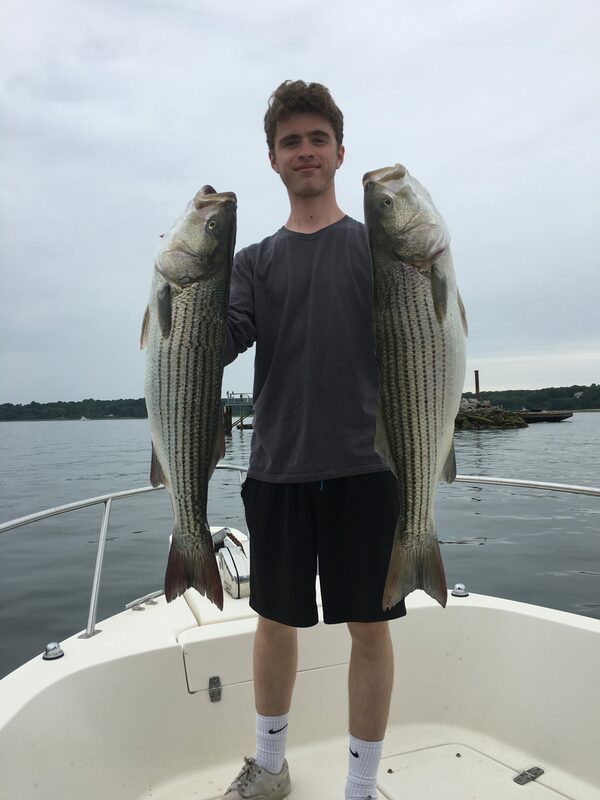 The trio limited out with Bass from 32″-38″.. Matt got his 1st of many fish and finished the day with a beautiful 36″ Striper… Way to go Matt and Boys !! !